Property 1: Beautiful second row Villa - closest walk to beach access, pool, and tiki bar! 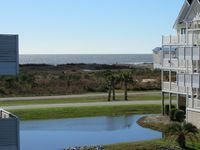 North Myrtle Beach Resort Villa-5 Miles to Ocean! Property 4: North Myrtle Beach Resort Villa-5 Miles to Ocean! 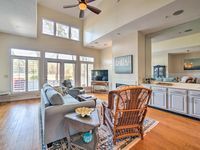 DIRECT OCEANFRONT in the HEART of NORTH MYRTLE! Wi-Fi * Balcony * Pool! Property 5: DIRECT OCEANFRONT in the HEART of NORTH MYRTLE! Wi-Fi * Balcony * Pool! Property 7: 'Priceless' Almost Ocean Front , 4BR/4BA, Upgrades, Pet friendly, & Discounts! Property 12: 4 Bedroom 3 Bathroom Golfers Paradise! Family Friendly at Sea Trail Plantation! Tropical Paradise!! Sand in your Toes! $200 off for 4/1 - 4/4 & 4/7 - 4/11 !! Property 14: Tropical Paradise!! Sand in your Toes! $200 off for 4/1 - 4/4 & 4/7 - 4/11 !! GREAT PLACE TO STAY AT NORTH MYRTLE BEACH! Property 16: GREAT PLACE TO STAY AT NORTH MYRTLE BEACH! Property 22: Paradise at the Pier! Ocean Peek * Pools * Wif!i Perfect for Families & Groups! Very much enjoyed this rental condo. Beautiful inside and well appointed with a fantastic view of the ocean. Beds were comfortable and very kid friendly space. We will be back next year! Every room in this condo was spacious, tastefully decorated, super clean and comfortable. The island kitchen was fully equipped with everything we needed and so large that we had five people preparing the meals without getting in each other&rsquo;s way. Loved the huge bathrooms too! We ate many meals on the large deck outside overlooking the pond and the golf course. The corner condo and the many shade trees on the property made us feel like we were alone in the woods, which was a welcome relief from the sunny beach days. There were boogie boards, beach chairs and beach toys which we enjoyed. Oh and the kids loved the pool and playground! The location was great in the quieter, less congested North Myrtle Beach area with its beautiful beaches and town. Can&rsquo;t wait to go back again next year with the perfect place to stay!